In the brave new world of publishing, there are going to be challenges as there always are with new technologies. There will also be sharks circling the murky waters, looking for prey. With this particular story, I detect the guiding hand of the poor kid's mom. This is obviously a case of "overhype" from someone who's trying to make themselves out as a wildly successful author (the kink here is that the son is being hyped), when they obviously aren't. I mean, come on, a 23-book deal? Which leads me to wonder why 23 books? Why not 24 — which is such a nice round number? Would 24 be too much to believe, whereas 23 isn't?) We've all run across overhypers, haven't we? "Best-selling author", they trumpet, or maybe they're "award-winning". Or maybe they just signed a 23-book deal. There are going to be a lot of people who will make a lot of money out of the new publishing playing field. Unfortunately, the vast majority of them won't be writers. Today, I decided to blog about the mysterious process of creating a plot. Vicki's post on getting stuck and Donis' description of antique plumbing got me thinking. A lucky stroke of creative synergy that solved my writer's block of 'What am I going to blog about this time?'. I'm not a big fan of how-to-write books, nor of doing what I'm told, so I happily ignore the advice about making a detailed outline first. 'How can you start on your journey if you don't know where you're going?' insist the how-to books. My answer - easily. I just find the car, turn on the engine, and put her in gear. Once I have a vague idea what I want to write about and I have the idea for the opening scene, I'm off. As I finish that scene, usually the next one comes to me, sometimes three or four down the road. It's not driving blind; it's more like driving in the dark with headlights; you can't see far ahead, you can't see what's around the bend, but you can see far enough ahead to keep driving. When you reach a blind curve, you can't see a thing and fear you have no idea where you're going, but suddenly, the twist opens up a whole new stretch of road. This is a terrifying, exhilarating, adventurous way to write, full of unexpected twists and puzzles. I don't know whodunit, so it's as entertaining and puzzling for me as it is for my sleuth, and I hope for the reader. Not knowing where I'm going means that I don't know if I'm ever going to get there. Will this book tie together? Will I ever find the right ending? It's not efficient; I take wrong turns and end up in dead ends, with no way to move the story forward so I have to backtrack. It means wasted pages and multiple rewrites. It means clues, red herrings, and connecting threads have to be inserted in later revisions. The end result that is submitted to my editor may appear smooth, with an intricate and seamless plot, but believe me, the first draft is chaos. I don't recommend this approach to everyone. Writers have to find the technique that works for them. My imagination flows best once I'm writing. Outlines would be a waste of time for me, because I'd no sooner get to Chapter Two than a better idea would occur to me. However, I'm not entirely without a road map. In the back of my mind at all times are those basics of good storytelling - tension, conflict, pacing, uniqueness, and engaging characters. I also have some other guidelines by virtue of writing a police series. After eight books, I have a familiar cast of characters whose foibles and reactions I know well, and I have the routines of police procedure to fall back on if I don't know what to do next. The fingerprint guy can always report in, or someone can go talk to the next of kin. What would they find out? Who knows, but it will come to me in the process. As Rick said, sometimes this is the time to throw in the unexpected, and see what's around the next bend. You may be wondering - so where does Donis' antique plumbing fit in to this plot process? In the rituals I follow when I sit down to create. I use the approach I used when I first began writing, back in the dinosaur era. I curl up in a chair with some pleasant drink at my elbow, my yellow note pad in my lap and a ballpoint pen. Then I write long-hand. The result is an almost indecipherable, scratched out mess of a manuscript filled with arrows and brackets and 'insert heres'. But like my plots, it all tidies up nicely on the rewrites. These are done the way they should be - on the computer. Am I alone, or do others enjoy this 'fly by the seat of your pants' approach? I am writing this because I am not writing anything else. I should be working on Gold Mountain, the Klondike Gold Rush book number three. The book is coming along very well. I’ve had the idea for this story almost from when I first imagined setting a series in the Yukon in 1898. It’s not going to be a “murder mystery” – I hate that phrase anyway, I think it cheapens the complex crime genre – because there is not a murder and there isn’t much mystery as to what is going on. I’m hoping it will be a fast, fun adventure/chase story. So why am I not working on it? Because I can’t figure out what to do next. Let’s say the journey is from A to Z. The characters are now at W. I know what happens in Z. I am just not sure of X and Y. So I’m taking a break. It’s a very lovely hot end-of-summer day and I will enjoy it. This will be my tenth published novel(scheduled for publication Fall 2011), and the nice thing about having so many books under my belt is that I have absolutely no worries that I won’t be able to come up with X and Y. When I took creative writing courses at Sheridan College lo these many years ago, the first day of one class we had to introduce ourselves and talk about what we’d written, if anything. One of the students said she’d begun four novels and had written about two hundred pages in each and then never finished because they weren’t working out. The teacher told her that everyone gets into a rough patch, and you just have to work through it. If you give up when the going gets tough, so to speak, then you can guarantee that book will never, ever get finished. It took a long time for me to realize how true that is. I now know for sure that I can trust my characters, if not myself, to work things out. Aren’t we lucky that in writing fiction ‘working through it’ means having a walk on the beach and then home for a swim? What do book reviewers look for? Our guest blogger today is Jim Napier, the crime fiction reviewer for the Sherbrooke Record. Yes, Jim actually reviews books for a paper newspaper! Sherbrooke is a small city in the Eastern Townships of Quebec, an area familiar to readers of Louise Penny's Three Pines books. Be sure and have a look at Jim's web site, Deadly Diversions, a comprehensive resource for crime writing including interviews and reviews Jim has done for his paper. When Vicki invited me to guest-blog a few weeks back, the topic was a no-brainer (resist the obvious, folks): what makes one crime novel stand out from the rest, and causes reviewers to recommend it? The answer, of course, is good writing! But before you search for a length of rope to lynch me with, let me explain. Despite the fact that the publishing-and-book-distribution world has been turned upside down over the past couple of decades, it’s never been easier to get into print. Small publishing and self-publishing firms, together with blogs, tweets, and Facebook to help spread the word, provide a wealth of opportunities for those who want to see their name in print. The result, sadly, is that there’s a lot of, er, trash out there—much of it, I hasten to add, coming from well-known publishing houses. So how does a poor, overwhelmed reviewer sift through the mountains of chaff to get to a single kernel of wheat? The answer, cricket, lies in returning to the fundamentals: good reading begins with good writing. That means a tale well told, about characters we can care about. It sounds easy, doesn’t it? After all, we all grew up using some language or other. But using language, and using it well, are two different things. (An important aspect of using language well is avoiding words such as things, but I digress). A good writer is disciplined, and avoids distracting side-trips (or, come to think of it, parenthetical insertions). One of the better writers around today is Peter Mayle, he of A Year in Provence fame some years ago. But Mayle also writes crime fiction: caper tales to be precise, and his novels are textbook cases of thoughtful, disciplined writing in which each paragraph is a marvel of organization, following from the previous one and setting up the next in a way that keeps the reader involved. Have a look at Mayle’s most recent foray into things criminous (there’s that word again) in The Vintage Caper. Once you’ve settled on a plot, get into it! Recently I read a novel that took —and I kid you not—243 pages to get to the plot; the rest was backstory about the main characters and their interrelationships! It was well told, however, and I stuck with it, much like a person watching a car-crash in slow motion. When I finished the book I had to admit that it was an interesting tale; but likely I won’t be reading another by that author anytime soon. Finally, and not least, set your story around a group of characters that are both believable and interesting. Notice I didn’t say likeable. They needn’t all be likeable, and unless it’s a tragedy at least the villain (such a quaint word, that) should have some less-than-attractive trait or characteristic (greed is always a good one, lust generally striking too close to home). If you’re contemplating a full-length work (or even better, a series), consider the relationships between the characters: are they complex, setting the stage for conflict? Is there room for the characters—at least some of them—to evolve? One only need look at the novels of Tana French and Giles Blunt to appreciate how they take the reader back in time, and do so in a way that helps to move their story forward. So if you want reviewers to look at your work, simply come up with an original tale, populate it with interesting and believable characters, and tell it well. What’s so hard about that? 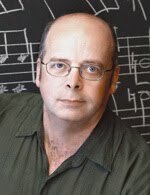 —Jim Napier reviews crime fiction for the Sherbrooke Record, and is the creator of the award-winning website, deadlydiversions.com His articles on crime fiction have also appeared in January Magazine, Spinetingler, and The Rap Sheet. Today I’m thinking about toilets. In my historical series, my early 20th Century farm family uses an outhouse. My farm grandparents had an outhouses, and when I was a little girl, I loved it. My grandmother was fastidious to a fault, and cleaned her outhouse twice a day with an old broom and a bucket of lye water. Another bucket of lime with a shovel stuck in it sitting in the corner, an old Sears catalog, and there you have early 20th Century bathroom technology. Simple, functional, and to the point. If “a little while longer” turns into a quarter of a century, this attitude will eventually lead to one living in either a museum or a dump, and probably a combination of the two - something like one of those clean but seedy roadside attractions off of I-35 outside of Ames, Iowa. In the past year or so, we’ve slowly been updating the plumbing. This task started after the cold water tap in one of the bathrooms exploded off and spewed a fountain of water all over the ceiling and my husband to the accompaniment of much colorful language. First we had the bathroom sinks and faucets replaced, one of the toilets, the kitchen sink and fixtures, both of the outside faucets. And then yesterday, two guys spent most of the day in my back bathroom replacing the last remaining historical fixtures in my home, my 1978 vintage, 5-gallons-per-flush toilet, and my rattling, dripping shower. Replacing the shower head and handles entailed drilling a hole into my bathroom wall and doing some mystical thing to the pipes, and as for the toilet... one might expect a toilet replacement to be a quick job, but apparently one would be wrong. The old rattletrap toilet came out in about ten minutes, but then the plumber spent the next two hours with his arm up to the elbow jammed down the drain hole doing god-knows-what before he was able to install the new commode with all the care and artistry of I.M. Pei erecting the glass pyramid in front of the Louvre. But all the sturm und drang was worth it, for I now have what the plumber called “the Cadillac of toilets”, that will, in his very words, “flush a potato”. The seat isn’t heated, but it does put itself down if some inconsiderate slob forgets to do it. As for the shower, what luxury. They put in one of those heads on a long hose that you can take off and spray all your hard-to-reach areas. I specifically got that type because I’ve always enjoyed using them when I’ve stayed in a hotel or home that has one. However, I do think it may take some training to be able to use it properly. First it seems that one must have the hose positioned properly when the head is in it’s wall holder, or the water pressure will cause the shower head to spin around like Linda Blair’s head in The Exorcist. I learned this the first time I turned it on to test it, at the cost of a damp ceiling and one sopping wet sock. However, with practice, I’m sure I’ll be able to utilize all my new 21st Century plumbing technology like I was born to it. Just a quicky today, since I am up to the neck in the new book. Progress report: I am on schedule at the end of my second week to complete the first 30,000 words. As those of you who follow the blog will know, I get up at 6am and write 3000 words a day. Two nights ago, however, I woke at 3am, my head full of the story, and couldn’t get back to sleep. So I finally got up at four and just went to work. It’s a great time of day to be writing. No one comes to the door, no one phones or emails. You know the rest of the world is asleep, and you can safely lose yourself in the world of your book. Which in this case is the Outer Hebrides of Scotland, and 1950s Edinburgh. It’s a journey in space and time which I am enjoying very much. My journey will be interrupted, however, on Monday when I have to go up to Paris for a script conference with the movie producers who are making a film of one of my books. An eight-hour return journey by train will allow me to do plenty of thinking, but I will make up for the lost writing day by taking one day (the Saturday) out of my next weekend, so that I can keep to my schedule. I find that creating a routine, and making a strict schedule for yourself that you always stick to, is the best way of getting through the journey. On this storm-lashed island three hours off the north-west coast of Scotland, what little soil exists gives the people their food and their heat. It also takes their dead. And very occasionally, as today, gives one up. As I plod my way to the finish line of a short story I began a month ago, I continue to struggle with its opening. I like the way the story is turning out: the characterization seems to be going well; the plot has offered many surprises, such as an unexpected discussion of race. In short, this story—like them all—is smarter than its author, and I’m enjoying the ride. Yet the opening is troublesome, which has me reviewing my goal for it (and all beginnings): Typically I try to pose an explicit or implicit question. After that, I’m playing to grab the reader’s attention and introduce characters and the situation. I get introduction envy often while reading. When I was writing BAD LIE, I read the first chapter of Ian Rankin’s LET IT BLEED (http://www.ianrankin.net/pages/content/index.asp?PageID=48), tore up the opening I had for BAD LIE, and rewrote it. Not that it’s in the same class as the others, but this is what I eventually came up with for BAD LIE: “In an uncertain universe, my vocation offers a black-and-white world. On the PGA Tour, either your score is low enough or it is not. The ball is in the hole or it isn’t. You don’t argue called strikes. Instant replay won’t overrule decisions. In pro golf, results are ﬁnal. So I trust my instincts and govern myself by the rules of the game. Unfortunately, life is rarely so straightforward. Back to my short story. Wish me luck! I’m tired of the gender thing being brought up. You’re either a good writer or you ain’t. Because a writer has a 50% chance that any of the characters he/she creates will be a woman, one has to be able to write female characters — or risk the wrath of 50% of the people out there in reader-land. Same goes for male characters. Or any characters. I ask my wife to read my novels first because I know I can count on her to be blunt. (I once asked my wife how I played a Mozart horn concerto. Her answer: “Mozart beat you 5-0.”) I will listen to her opinions, we will chaff, defending our points, then I will go away and think about it. I might or might not wind up taking her advice to heart. The fact that my wife is a woman is beside the point. She is perspicacious to the nth degree, and that’s why I trust her. If you’re a good writer, you can write men, women, aardvarks or aliens. The only reason I would ask a woman for an opinion about female characters is if I felt I might have gone off the deep end. It’s not that I’m particularly sensitive; I just want to get it right. I would always check with a violinist to see if I got violin-y things right because I’m not a violinist. And how come it’s almost always women who bring this up? This is posting 1000 here on Type M! Happy anniversary to us and all that. And many thanks to all of you who come here to read what we've written. You should celebrate, too! I’d say that almost every male writer I know has at some time said to me, “My wife is my harshest critic,” or “My wife reads my first drafts as I write,” or something to that effect. I had a great weekend with fellow-writers Dorothy (D.L.) McIntosh and Madeleine Harris-Calway this weekend. Madeleine has just finished her first book; she’s been working on it for years. Now, she is almost ready to let her husband read it. All the books I have written and all the critiquers I have had, and it occurs to me that I have never had a male early reader. 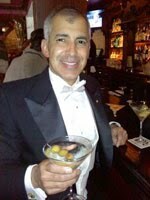 My editor at Rendezvous Crime is a guy, and that’s about it. What brought this to mind is that on the way to Dorothy’s on Friday I listened to a radio interview with the British writer David Mitchell. When Mitchell said, my wife is an early reader of all my work and she helps me with the books, I rolled my eyes. But then he went on. Men, he says, can’t write women well, but women can write men because they grow up paying attention to men’s behaviour, whereas men really don’t notice or care the way woman act or think. I’d expand that thought a bit. Women not only grow up having to closely observe the men they encounter in life (primarily a safety issue, but still our model of ‘success’) but women are constantly exposed to men’s world-view in movies, TV, books. Men might pick up a book written by a woman with a female protagonist, but not often. Remember that Harry Potter is a boy so that boys would read the books and Joanne Rowling is J.K. so they don’t know the author is a female. So, nice that men have wives to help them with their work, but not nice that they need them. To carry on that theme, if I may make an affectionate little dig at Peter: I hope you realize you are lucky to have someone making you that lunch and looking after all the other household things while you’re locked in your study. Somehow, whenever I guest blog of late I seem to be talking about food. Today is no exception and I’m over at Dames of Dialogue discussing growing your own tomatoes, with recipes. I’m deep in the process of doing the preliminary research for my next book in the Alafair Tucker series. For the last two or three books, I’ve begun by defamiliarizing myself with what was going on in the world during the specific years I’m writing about. I didn’t feel it was quite as important for me to do quite the detailed background historical research for the first two books, because the state of the outside world didn’t matter that much to Alafair in 1912 and 1913. But then the war started in Europe. Again, to a farm wife in the middlest of the middle of the United States, Europe seemed as far away as the moon in 1914. At first, Alafair was only vaguely interested in the events of the time. But now, I’m getting to a time period where the affairs of the mighty are intervening on her world whether she likes it or not. If all goes as planned, I’d like to set the new book here in Arizona, where I live, rather than in Oklahoma, where Alafair lives. So here are the problems I have to solve before I even begin: 1. Why on earth would Alafair go to Arizona in the first place? 2. Once she gets there, what is going on that she could get herself involved in, how, and why? Fortunately for me, I’ve discovered that in Oklahoma, the end of 1915 and the beginning of 1916 were some of the rainiest months in years, accompanied by severe flooding in the eastern part of the state. Therefore, there was lots of flu and bronchitis going around - enough that it was mentioned in the newspapers of the time. Handily, in the late 1800s through the mid-1900s, Arizona was known as a place for people with chronic lung problems to come and let the dry air cure them. There was a revolution going on in Mexico at the time, as well as the war in Europe. The Mexican Revolution interested the Germans no end, and there were lots of German “military advisers” in Mexico. The Germans would have been more than happy to see the U.S. invade Mexico, or vice-versa, so that the Americans would be too distracted to help the British or otherwise get involved in WWI. Even better, in the first three months of 1916, residents of the entire Southwestern U.S. were hysterical over the possibility of a cross-border invasion from Mexico by the Revolutionary Army of Pancho Villa. In fact - and now that almost 100 years have passed, I can be happy about it - in March of 1916, the Villistas did exactly that, increasing the hysteria to a fever pitch. Since God is good, and just for icing on the cake, during the winter of 1915-1916, a major (silent) motion picture, The Yaqui, starring Hobart Bosworth, was being shot in Tempe, the very town in which I currently reside. Now, if I can’t make a story out of all that, I should have my epaulets ripped off. I am perhaps the most bad tempered person in the world when I am writing. I HATE to be interrupted. I lock myself in my study at 6am with my coffee and won't emerge again until lunchtime. Then it's a sullen half hour at the dinner table - like refuelling at the gas station - and straight back to work. Writing a book is the most focused and concentrated thing I do in my life. If someone comes to the door, I will growl at them from my first floor window. "Whadya want?" If it's Jehovah's Witnesses, like today, they will get short shrift (in French, of course). A little later a neighbour came bearing a bowl of ripe plums from her garden and left them at the door, hurrying off in case she got on the receiving end of my ire (villagers know by now to give me a wide berth). If the phone rings I refuse to answer it. If I go for a walk in the early afternoon (which I often do to gather my thoughts for the final thousand words) I hate to be engaged in conversation. And yet everyone I meet wants to stop and talk. I want to say: DON'T TALK TO ME, DON'T YOU KNOW I'M WRITING!? Instead I lower my head wave my stick in the air, mutter "Bonjour", and hurry on. Which is probably just as rude. I refuse all invitations to dinner and other social events, and my friends think they've done something wrong, or offended me in some way. I won't cut the grass or reply to emails, and the administration of my life piles up around me in drifts. I refuse to see my accountant, or pay that speeding fine, or drive to the tax office to get a double taxation form signed for Italian royalties. Last week, we rented a cabin in northern Maine, visited friends, and enjoyed 70-degree temperatures. We got back Monday and promptly moved Tuesday at 8 a.m., so I write you today, Dear Type M Reader, amid boxes stacked floor to ceiling. When you go back to a place you once knew well, you notice changes—in the place and in yourself. 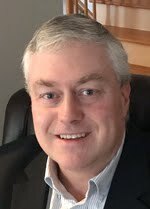 I found myself to be a very different after three years living and teaching in Connecticut. Teaching at a private boarding school is unlike teaching at a community college on nearly every level. My writing has also changed: my Presque Isle years were spent writing Jack Austin novels set on the PGA Tour (and a monthly column for a national golf magazine). Ten years with one fictional voice, a persona I still enjoy very much; however, 10 years writing the same character, nonetheless. When I turned down a contract for a sixth Jack Austin book, I did so because it was time to change, to grow. Last week, some of those changes revisited me. Asked what I was working on now, I cleared my throat. “A couple books about up here,” I said, swallowing the words before quickly moving on to a forthcoming story in AHMM, a story set far from northern Maine, set safely in Connecticut. When I offered no more: “Isn’t this place boring?” he asked. Of course, no place is boring (especially when it feels like home). “How do you like Obama’s changes now?” he asked, suddenly swinging the conversation. “You voted for that guy, didn’t you?” As if, since I’m a writer, I must have. My political views may or may not appear in my fiction, although Jack Austin is highly liberal compared to your average real-life PGA Tour player, who is typically very Republican. “You won’t like the change you see in your tax bill this year,” he continued. “The nation’s got some pretty complex problems,” I said. As with most political conversations, this one leans toward argument before I walk away. It’s not worth it. This man is a good friend. Who has changed? Me or him? Probably me, but in the end, it doesn’t matter. All I know for sure is that my writer’s equipment is still working because I’m noticing the right things—and I’m certain there is a story in this conversation. Traveling can be great for a writer, but I most enjoy revisiting places. Revisits allow you to view landscapes and people with a fresh perspective. And going back to a place you once lived is even better. I’m ba-aa-ck! I couldn’t stay away, so after a couple of years’ hiatus from this blog, I am back among my Type M friends. But I have to warn you… Having grown up with Monroe calculators, manual typewriters, rabbit ears, and “princess” phones with 25-ft cords that you could drag into your bedroom, I don’t feel truly at home in this virtual world. It’s not that I can’t navigate it. I’ve analyzed research data using complex statistics software, I’ve written eight novels and more than two dozen short stories on the computer, I’ve been prowling around the web for fifteen years. I have a Facebook page with a couple of hundred friends. Indeed, even Inspector Green has a Facebook fan page, although I confess my editor, a thirty-something, set it up. But it still feels surreal. I will set this blog adrift in cyberspace without ever knowing who reads it. Who laughs and who rolls their eyes. It’s like shouting into the wind. I miss the face-to-face contact. The quick smile and the knowing nudge, the rush of pleasure and intimacy that comes from having an actual conversation. I know this is a tired lament often muttered by us pre-computerites to the texting, twittering generation below us, but we lose with one hand when we gain with the other. Depth. Texture. Belonging. Writers have to build connections. We can’t sit in our garrets pounding out exquisite prose, and expect to soar to the top of the bestseller lists. Or even to pay the next month’s rent. My favourite way to meet fellow booklovers is the old-fashioned way, through book clubs, readings, signings and mystery conferences, where we can sit face to face and talk. I still do that as much as I can, but California and CapeTown are rarely within my reach. Cyberspace is the meeting ground where all readers can find us. Somehow through the blogging, facebooking, listserve postings and twittering, our voices can get heard. Cyberspace can be fun, too, digging up old boyfriends you haven’t thought about in four decades or connecting with obscure cousins in Australia. So a big thanks to my blogger family for inviting me back. I join with optimism and humour, hoping to share some thoughts and experiences, to contribute to the noisy chatter of the mystery-loving world, and maybe to hear from people who read it. What do you think about our brave new world? A writer friend (I promised Vicki I wouldn’t reveal that it was her) pointed out to me recently that many writers of fiction are very left-wing in their political views. (No, I’m not going to get into politics in this blog entry.) Thinking about this after it was said to me, I realized that it’s pretty true. Many of the real firebrands for left-wing ideology have been/are writers. It’s why we often get targeted by governments that are not happy about that fact. But more importantly, why are many of us like that in the first place? Well, I’d like to posit this: it could be because we’re wired that way, but it could also be because of what we do for our living. The politics of the left tend to be about seeing varying shades of gray. The politics of the right, however, tend to be built around black and white ideas, shading isn’t really welcome to that kind of thinking. Now, in order to write successful and impactful fiction, a writer has to be able to see all those variations and shadings that every person has in their personality, the quirks and foibles that make people distinctive and interesting, and then bring that forth in their characters. If you can’t do that, chances are your fiction won’t cut it because the characters won’t seem real. Regardless of political persuasion, everyone has vagaries in their personality, and that's what makes them interesting. So, could it be that because we fiction writers spend so much time crawling around in our characters’ heads, that we just naturally carry those gray shades into the way we live our lives? Or, is it because we tend to see life in shades of gray that we’re able to write successful* fiction? In other words, which came first, the novelistic chicken or the political egg? Read and discuss this with yourself, then let me know what you think. Does my premise hold any water in your view? *Successful as in “Does it work?” — as opposed to “We’re rolling in dough because of our novels”. I was a guest author the Wolfe Island Scene of the Crime Festival this weekend. The other guests were Michael Blair, Susanna Kearsley, James W. Nichol and Gail Bowen, who was the guest of honour. Wonderful writers all, and what a variety of work they put out. One of the questions we were asked in the panel discussion is why we write. Are we compelled to write? Have we always been writers? My best answer, which I only thought of later, is that I am a writer because I love the company of writers. It might be different in other, particularly larger, countries, but the Canadian mystery world is really, really small. We all seem to know each other, and if we don’t, we will soon. I consider Michael and Susanna and our moderator Barbara Fradkin to be friends, and Gail and her great husband Ted as people I’d like to be closer to if I saw them more often. 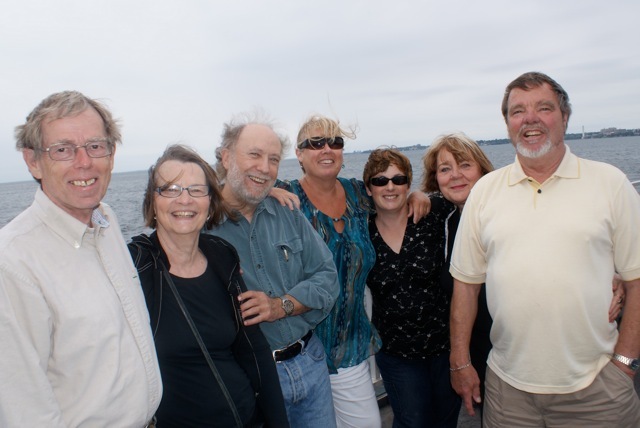 I had not met James and his wife Judy before, but now I include them in the latter group. As well as meeting readers (tons of enthusiastic readers), talking about books, listening to the others talk about books, signing books, and eating wonderful church lunches and suppers (homemade blueberry pie anyone?) we had fun. Lots of fun. At the get-together the night before, at the B&B where the Festival kindly put us all up, on the drive to find the place (says Vicki: I know the way, follow me. Apparently I don’t know the way as well as I thought I did); over a delicious farm breakfast, on the Ferry ride back to the mainland. In the morning we explored the farm where they raise bison and llama, a far cry from the old dairy cows and corn farm it once was; in the evening, tired but excited after the Festival, we sat out the big porch in the old farmhouse that was our B&B and drank wine out of a box with the lights turned low so as not to attract the bugs. I have met a lot of mystery writers over the past five years and I can say that there are precious few I haven’t liked and whose company I haven’t enjoyed enormously. There are no big egos on display, particularly by those who might have most to be egotistic about, and everyone is welcome to pull up a chair and join the circle. We are all in this boat together, seems to be the feeling, and we are all along to enjoy the ride. P.S. anyone looking for accomodation on Wolfe Island is suggested to contact Blue Horizon, where we stayed. Fabulous setting, lovely people, great breakfasts. Type M is thrilled to welcome author Jennifer Lee Carrell as our guest blogger today. Jennifer has a Ph.D. in English from Harvard, along with undergraduate degrees from Oxford and Stanford, and notes that, "It’s something of a surprise to find myself writing thrillers." 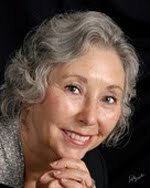 Before she began to write books full time, she taught literature and writing at Harvard and later was the classical music critic for the Arizona Daily Star. She has also written a number of pieces for the Smithsonian Magazine. Her first book, The Speckled Monster, is a "non-fiction thriller" about smallpox, set in 1721. USA Today praised it as being written “in a compelling, almost novelistic, voice.” Her second book, the New York Times best-selling novel Interred with Their Bones, has been translated into 28 languages. Her newest book is Haunt Me Still. One potent and seductive phrase. In spinning stories about history’s mysteries, I like to combine things I know (say, Shakespeare) with things that I don’t know. For instance, my latest book, Haunt Me Still, is a thriller that riffs on the witch–haunted play of Macbeth: its weird, dark magic and its continual power to scare the socks off the actors who play it. Where does that power come from? How much did Shakespeare know about the occult? What was the fountainhead of his genius? I don’t know: and nobody else does, either. As a novelist, however, it’s my privilege and my responsibility to concoct answers that are both plausible and page-turning. That’s a heady combination. At its best, it leads to adventures of the real as well as the fictional kind. 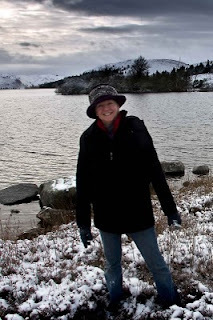 So it was that on a snowy November afternoon two years ago, I set out to find a mysterious and remote Scottish loch that until a few weeks before I’d never heard of. I’d been wrestling with how and where to end my novel. Although it’s set mostly in the present, it’s closely shaped by history. In a footnote, I’d discovered that a ruthless Scottish countess—one of Shakespeare’s near contemporaries—may have been part of the playwright’s inspiration for his legendary man-eating seductress, Lady Macbeth. 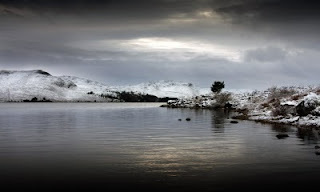 Following the countess’s faint trail, I’d learned that in the 1580s, she was said to have hidden from her enemies on a small island in the midst of a loch in the Highlands. Google Earth showed me a tiny speck that might be an island in the middle of water that might be the loch in question. But the map also showed a blank expanse around its shores: no roads led anywhere near the place, and none of the professional guides or pony trekking outfits I’d contacted had ever heard of it, in any case. Regretfully, no one could take me there. Eventually, though, an internet search had led me to a Scottish landscape photographer, Colin Campbell, who said he knew the place and offered to take me there. My husband and I had scrutinized everything we could find about him on line: he didn’t seem to be an axe murderer masquerading as a photographer. So there I was, pulling into the car park of a pub in a tiny Scottish village. I can’t tell you how glad I was to see Colin’s wife behind the wheel of their snow-spattered black Land Rover (what self-respecting axe-murderer brings his wife along for the ride?). A happy Labrador retriever was lolloping around the back. I clambered in the back seat and we were off, bouncing down a long rutted track slippery with new snow, through a forest filled with eerie blue light and silence. were standing at the edge of another era, at the brink of a world still untouched by humans. us; we followed. 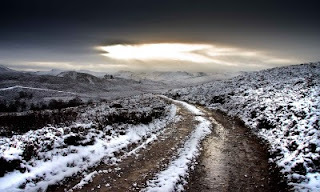 Presently, we came through a fold in the hills, to find the loch glimmering at our feet, its water still as black ice. Far off, near the opposite shore, a tiny island, spiky with fir trees, rose from its surface. Overhead, light streaked downward like jagged spears. Standing there, I suddenly understood the eerie terror of Scottish myths: the water horses, the washer-women, the blue-faced hags, and the tall fairies, bright and dangerous and fey. We toiled around the shore, splashing in the water, or curving inland to sink knee-deep into snow-covered heather, drawing as close as we could to the island. So close and yet impossibly far: we had not carried a boat, and a swim on that frigid day would have been folly. I had come to the end of my road—as a hiker. But as a writer, I had come to the beginning. For standing on that rocky beach, it was hard not to hear the howling of wolves—though they’ve been extinct in Scotland for centuries. I could see no trace of a building, but I knew that the surrounding slopes were dotted the ruins of Neolithic and Iron Age stone structures—the buildings of the pagan Celts whose beliefs survive in Scottish tales of magic and mystery. I knew, too, that much later, in the sixteenth century, on that island had stood a house grand enough for a great Scottish lady and her love: a woman said “to consort with witches” and a man whose enemies had ambushed him after he left this place, had cut off his head and brandished it on the end of a pike. In an instant, I knew that I’d found the finale of my novel. I did not yet know exactly what would happen: but I knew that over on that island that I could not quite reach there would be blood and fire and a woman filled with fury, while the howling of wolves rose over the surrounding hills, and a great storm swirled out over the loch. All this came from an accidental find that woke a hunch, doggedly followed. A footnote glimpsed in a little-read book, which led to even less-read tomes gathering dust in great libraries. Okay, so maybe I’m not finding things like my eerie Scottish loch entirely by accident. I was on a quest for something, after all, when I discovered the Scottish countess and her hideout. Just not that. I’ll settle for modified serendipity, but you get the point. In my writing life, serendipity is anything but accidental. It’s necessary. I don’t sit back and wait for wonderful places, intriguing characters, and marvelous ideas to just skitter across my desk. I work hard to put myself in the position to find them. As I trace my way back through thickets of footnotes and old books that gather history, gossip, and legend, I expect to bump up against a lot of dead ends, and I do, but I try to keep my storytelling antennae super-sensitive, so that I can recognize the promise of barely cracked doors and faint trails, and follow wherever they may lead. In my experience, it’s not what you expect to find that sparks a story into imaginative fire. What you expect—what you intend to write about—is merely the groundwork. It’s the unexpected, given rein, which makes a story burn with life. flood, leads on to fortune; omitted, all the voyage of their life is bound in shallows and in miseries. It works for the craft of building stories, as well as for life—except that writers can’t sit on the shore and hope that the moon will pull the tides of story back and forth across their feet. We have to get down and dirty in the trenches, digging canals that will funnel the tides to us. Speaking for myself, I then have to summon the courage to let go of the story I thought I wanted to tell, and hoist sail in whatever direction the tide wishes to carry me. In story, as in life, I believe in opportunity: in making it, and in taking it. So here’s to not knowing all the answers. And to the adventures of serendipity. 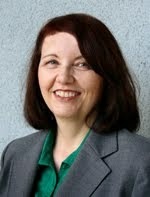 Jennifer lives in Tucson, Arizona, with her husband, son, two dogs and three cats. You can reach Jennifer at jlc@jenniferleecarrell.com or facebook.com/jenniferleecarrell. Her web site address is www.jenniferleecarrell.com. Like Peter, I am starting a new book right now, though I am still in the pondering stages and haven't begun putting words on the page. I usually have to spend a couple of weeks cogitating first, maybe a few days doing some preliminary research. I never know what the entire story will be before I begin. I learned early on that you may think you have it all figured out, but you don't. However, in all my previous mysteries, I at least had a murder in mind before I actually began writing. I knew who was going to meet his or her doom and how, where the body was going to be discovered and by whom. I usually knew who did the deed, though I'm flexible about that. Before I start, I always think I know why the killer did it, but to date, by the time I reach the end I discover I was wrong. The motive seems get modified every time. For the nascent Book Six, I know which characters will be involved, I know where the story will be set, what the season will be, what historic events will unfold, what the side stories will be. But I haven't yet discovered a body! A murder mystery isn't really about the murder, of course. It's about the mystery. But without a murder, it's mighty hard to create the mystery. Not long ago, I told someone she should "trust the process" with her writing. Even if you don't know where the story is going to go, just start writing and trust that all will become clear as you go along. Have faith that the answer will provide itself when the moment comes. Apparently the time has come to take my own advice. In fact, even as I type these words, an idea begins to form like a ghostly fog in the back of my mind. So if you'll excuse me, I'll be off. I have to kill someone. 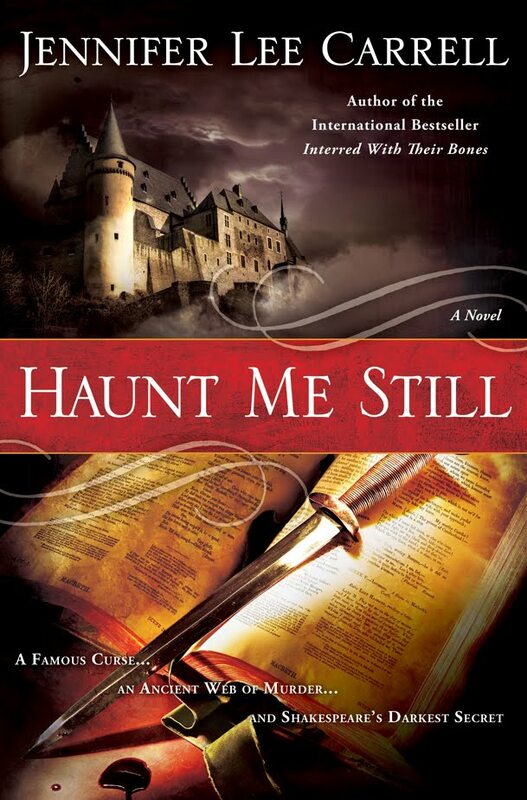 Before I go, I'm very glad to report that my very special guest blogger tomorrow will be the New York Times best-selling author of Interred With Their Bones and Haunt Me Still, the lovely Jennifer Lee Carrell. Don't miss her. My muscles ache, my legs feel heavy, my back hurts, and I am so tired I could almost weep. Have I been digging the garden? Moving house? Lost my mind and started weight training? Well, actually, none of the above. I've been storylining my new book. Why is it that such intense brain activity has such a profound physical effect? I mean, it's not as if I am actually doing anything physical. I spend the day sitting at my desk. The most exacting physical activity that I engage in is moving my fingers around the keyboard. And yet I am, for want of a better word, knackered. I guess it's my own fault. I get up at 6am, I'm at my desk before 7, and apart from a short break for lunch I am there till at least 6pm. I began on Monday and I hope to finish today. So far I have written 39 single-spaced pages - around 18,500 words. I expect that total will exceed 20,000, and that the page count will be well into the forties. This for me is the white heat of creativity. This is where the book is forged in the furnace of my mind. It is the culmination of several months of thinking, reading, researching and fear. Fear because this is the follow-up to a book which my British publisher described as "brilliant and beautiful", destined to become a "modern Scottish classic in the mould of Kidnapped". A book that the French press has called my "chef d'oeuvre", my masterpiece. I ask you... how the hell do you follow that? So apart from all the usual stresses and strains involved in writing a book, I find myself having to live up to a whole bunch of expectations I never asked for, the plaudits for a book that hasn't even appeared in English yet. But that's not why I feel like someone's been kicking me non-stop for the last 96 hours. I feel like this because I always feel like this. It's my process. For me it is the most creative part of writing a book. The core of it. Five days of hell, followed by six weeks of finding the right words to do justice to the idea. I can't say I enjoy it, but in a strangely masochistic sort of way I am addicted to it. I would love it to stop, but wonder what I would do without it. I started doing it because for some reason I was driven to do it, and now I have to do it to pay the bills. I love it, I hate it, and I can't wait to be back at my desk trying to make the dénouement work. But how in God's name am I going to be able to lift one foot after the other to climb the stairs to go to bed? Sometimes life gets in the way. We all know the feeling that there aren’t enough hours in the day, and when there’s a personal crisis, the days whiz by without any distinction. One day it’s Monday, then it’s Friday again, and what happened to the in-between? I’m having one of those times. Maybe you noticed, maybe not. I hope not. This will pass, and I’m wishing that I’ll be back among these terrific writers. Perhaps I’ll use the distance from the other side of the tunnel to write about it with some degree of knowledge. Meanwhile, the Hawaiians say a hui hou, which means see you later, as opposed to aloha, which is more final (when used as good-bye, that is), similar to the French au revoir and adieu. Makes one wonder why English doesn’t have the same nuances. Language reveals the soul of a culture. Later, muchachos. TaTa. Ciao. I’ll certainly miss sharing thoughts with all of you. And just unloading about general silliness, as the time the hairdresser dyed my hair purple or the dog ate the three layer strawberry cake I’d made for a July 4th picnic. So keep laughing, keep writing (I will! ), and keep analyzing. My (writing) life continues on its runaway course and I have to admit that it’s getting to me. We all have to make a living. Some of us are lucky, grasped the brass ring as it came by (or was even offered), and have since been able to indulge our writing passion as a full-time job. I make it a point to try not to be envious, but there are times, like now, where I almost can’t help it. My work life at the moment (and for the foreseeable future) is in the graphic design world. It was not a course I set out to follow early in life. It’s just something that happened to me while I wasn’t really paying attention. It’s not that I don’t have training in it. I worked for 11 years with a supremely talented designer and he was very gracious with his patient explanations as to why this worked and that didn’t. I’ll never have the ability and flair that he did, but I honed what skills I do have to the point where I can now do a very workmanlike job. What I want to do, though, is write! I squeeze in a little time here, a little there, but it’s ultimately not very satisfying. When it takes two weeks to complete a chapter, that’s not a good thing. You lose the thread. You lose the feel. You lose heart. However, my wife and I spent the past weekend with Tony Luciani, a good friend who is an incredibly talented painter, I mean as in world class talented. Being able to sit and chat with someone who’s in a related creative field was very refreshing for me. He’s struggling, too, but in his case it’s from the reality that because of economic concerns people aren’t spending on art. Tony’s works aren’t inexpensive. Still, he works on and has recently completed four incredible canvases in a series he’s commenced. Sort of like us, isn’t it? Most crime writers work in a series setting. He faces many of the same dilemmas and it was interesting to talk to him about it. But in the end, we creative sorts in the arts face the same basic dilemma: how to keep body and soul together when you what you want to do in life is create. In my case, I don’t have the time to do it. I can’t justify turning down a client in order to find the time to write. Sure, I putter along, but it’s driving me nuts! I have all these things waiting to get out and there aren’t enough hours in the day to allow me to do it. I make a living, but at what cost to my creative soul? Tony, on the other hand, is completely committed to spending his life following his muse. His paintings are fantastic, I mean that sincerely. If I ran across something of his in a museum and didn’t know him personally, I would certainly stop and look anyway. Even though life is a bit of a struggle for him at the moment, Tony is keeping the faith. Regardless, I have to admit that I’m envious. We have an informal policy here at Type M not to talk politics. Our emphasis is on books, mainly crime books, and the art of writing. However, once in a while real-life crime and politics overlap, so here I go. One of the most (in)famous people in Canada is a fellow by the name of Conrad Black, AKA Lord Black of Crossharbour, recently AKA Prisoner Number X. To give a brief history, Conrad was once a wealthy man. By your and my standards he probably still is, although not by his own. From a wealthy and influential family, he made most of his money in newspapers and founded a national newspaper in Canada in order to spread his right-wing views. Conrad was honoured by British Prime Minister Tony Blair by being offered a Lordship and a seat in Britain’s House of Lords. Not so fast, said the Canadian Prime Minister of the day, if Black wanted to take his seat in the Lords he would have to give up his Canadian citizenship. A public battle raged for a while, and then Black did abandon Canada in a huff, donned the ermine robes and moved to England. Not too many years later Black found himself in serious trouble in the United States for reasons to do with the conduct of his businesses affairs which I will not bother to go into here. He was tried, convicted, fined and jailed. Suddenly Black discovered how much he loved his home and native land. He asked to be allowed to serve his prison sentence in Canada and was turned down as he isn’t a citizen. Last month his conviction was dramatically overturned and he was released. He now, sob, wants to come back to his family home in Canada particularly because of his wife’s, snort, ill-health. However, as a non-citizen who has been convicted of a crime he won’t be allowed across the border. All of which is only an introduction to the point of this piece. Infamous for allegedly looting his own companies and his rumoured contempt towards the working classes, Conrad has undergone a considerable change of view in his two-plus-years in jail. Funny how being on the inside, seeing how the rest of the world actually lives, can change one’s perspective. He has an article in today’s National Post (the right-wing paper he founded) titled My Prison Education. I quote briefly: “It had been an interesting experience, from which I developed a much greater practical knowledge than I had ever had before of those who had drawn a short straw from the system.” “I saw at close range the failure of the U.S. War on Drugs, with absurd sentences, (including 20 years for marijuana offences, although 42% of Americans have used marijuana and it is the greatest cash crop in California.) 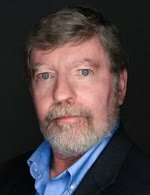 A trillion dollars have been spent, a million easily replaceable small fry are in prison, and the targeted substances are more available and of better quality than ever, while producing countries such as Colombia and Mexico are in a state of civil war.” He continues and the article is well worth reading particularly considering where it is coming from. Click here to read Conrad Black. In a similar vein Linwood Barclay, the hugely-popular thriller author, has a hilarious send-up in the Globe and Mail today of our current government’s plans to greatly expand the prison system and their recent justification for it. Because there is an increase in ‘unreported’ crime. Click here to read Linwood. Hello on this fine Sunday. I'd like to present our guest blogger for today, Simon Wood. A lot of you in the industry know Simon, but you readers may not. You should make his (literary) acquaintance. Simon is a fantastic writer and terribly clever. Simon has already been a guest blogger here on Type M, and it was high time we asked him back. After reading his piece, I'm sure you'll agree. Actually, I know what poor, confused, Julie means. Telling stories of crime means I tend to look at the world in criminal terms. Now I don’t mean I go looking for evil doers doing evil on street corners, but I do look for oddities in the world around me. If something catches my eye, I’ll concoct a story to suit what I’ve just seen. If I spot someone leafing through a trashcan, I don’t think homeless guy, I think money drop. When I notice a guy sitting alone in a dull sedan, I don’t think guy waiting on his wife, I think FBI surveillance on Columbian drug cartel operating out of a Happy Donuts. If I sneak a peek at a flatbed truck chock full of giant seedpods, I don’t think a horticultural expo must be in town, I think alien invasion is on and I shouldn’t go to sleep. So how did I repay my lovely Julie for her imaginative thoughts about the goings on in her office parking lot? I used them in a book. 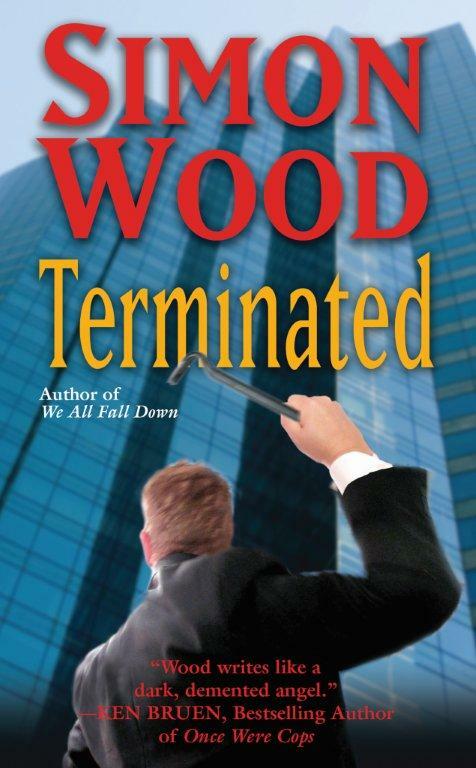 In my latest thriller, Terminated, the opening scene takes place in a private company’s parking lot, not too dissimilar from Julie's. Things don’t go down the way Julie witnessed, but there are similarities. The theme of the book deals with workplace violence originating from a grudge that escalates and escalates. The scene now features the protagonist being assaulted in the parking lot. Julie shared the chapter with several of her coworkers with gratifying results. Let’s just say people have developed a healthy fear of the trash enclosure located in the staff parking lot. If nothing else, I’ve made people review their approach to safety. It’s nice to see that I can convert people to my way of viewing the world. It makes for a far more imaginative place, even if people are a little scared to leave the comfort of their own homes. BIO: Simon Wood is an ex-racecar driver, a licensed pilot and an occasional private investigator. He shares his world with his American wife, Julie. A longhaired dachshund and five cats dominate their lives. 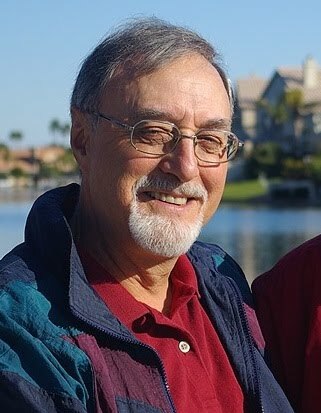 He's had over 150 stories and articles published. His short fiction has appeared in a variety of magazines anthologies, such as Seattle Noir, Thriller 2 and Woman’s World. He's a frequent contributor to Writer's Digest. He's the Anthony Award winning author of Working Stiffs, Accidents Waiting to Happen, Paying the Piper and We All Fall Down. As Simon Janus, he's the author of The Scrubs and Road Rash. 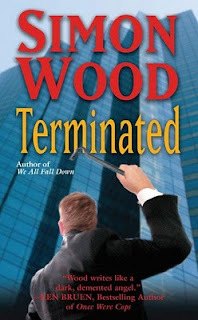 His latest thriller, Terminated, is out in mass paperback. Curious people can learn more at www.simonwood.net. I was immortal once. I remember it well. I feared nothing because I couldn’t be killed. I could eat poison and jump off cliffs and never for a minute expect to suffer harm. But the most wonderful benefit of my immortal days was that I had time. The line of my life stretched out before me clear to the horizon and disappeared in the distance over the curve of the earth, no end in sight. Oh, no, you may be saying to yourself, she’s going to wax philosophical about mortality, here. Never fear. Okay, I’ll admit that I started out driving down that road in a shiny red Maserati which after a quarter-million miles is looking pretty dinged-up and the check-engine light is on, but that’s not the point. What’s changed is the road. In fact, it is beginning to dawn on my that the entire metaphor is wrong. A couple of years ago, I wrote an entry in this very blog about a friend of mine whose entire life was a work of art. (“Works of Art”, June 7, 2008) She was a fine artist, a painter. But everything she did - making a pie, sewing a dress, growing a garden, even cleaning the house - was done with as much care, eye for detail, and even reverence, as were her paintings. I still think about her with awe and maybe a little envy. She approached life in a way that I’ve often wished I could. She didn’t wish that things could be other than they were. She wasn’t moving toward a goal. Nor did she think that she had plenty of time to fool around before she lived an authentic life. I’m not exactly saying carpe diem, though one should. That “seize the day” philosophy is what motivated me to finally take the leap and write stories. I love being a novelist, too, even though I don’t love all the stuff that goes along with it. Being a writer can be glorious, but sometimes it's painful, too. I achieved a life goal, and it isn’t what I expected. In fact, I’ve achieved a bunch of life goals, and none of them has turned out to be what I expected. Every one is much worse in some ways, and infinitely better in others. Is that the point, I wonder? Life isn’t what I thought it was. I’m not driving anywhere and there is no road. My new metaphor is that life is a wildfire, and we’re all standing right in the middle of it with no way out. It’s overwhelming heat and light, it has no shape or substance. It’s scary as hell. It consumes everything around it in an unstoppable rush and a roar, and eventually it even consumes itself. You just know this isn’t going to end well for you and it’s going to be painful, to boot. But it’s still endlessly fascinating and incredibly beautiful, even while you burn. I don’t know about you, but I hate showing anyone my story plan for a book. I do it for me. It’s my own shorthand, a kind of wish list of scenes I would like for the story. If I show it to an editor, I only find myself having to explain it, justify it, quantify it. And I won’t do that, because for me that’s the essence of the writing process. Which is private and personal. By now, I kind of expect that my publishers have a degree of trust in my ability to produce the goods. After all, I’ve been doing it professionally for more than thirty years. And by and large they do. But recently I have been working once more in the visual medium, and the reasons for my quitting TV after fifteen years in the business have come flooding back to me. Unlike books, scripts are not so much written as negotiated. To start with you have to deal with the producer, who will sit down and tell you earnestly that he is not a writer - then proceed to instruct you how to do your job. I have often wondered if such people might not be better off employing a shorthand typist. It would be like someone telling a portrait artist that the jawline in the preliminary sketch is not quite right. The problem is, as they are so quick to tell you, they are NOT writers. They don’t actually understand the process, and even if you could you wouldn’t have the time to explain it to them. Then, of course, beyond the producer, you have the director (who very often likes to think he is a writer, too), and then the actor. Everyone chipping away at your original concept and every line of dialogue in the script. Everyone with his own interpretation, and the director at the end of the day running off with the credit of “auteur”. It’s all crap of course. The Writers’ Guild of Great Britain used to have a great poster which was a cartoon drawing of a writer sitting at his typewriter, supporting an inverted pyramid of everyone from the make-up artist to the director. And, yes, it’s true. Every single one of them would be out of a job without the writer. But, still, most of them like to think they know better. Which is not to say that producers (and editors) don’t have a role to play in the process. After all, since they are coughing up the dough, they have the right to decide in the first instance whether they like your idea or not. It’s your job to sell them on that. And when it’s finished, they have every right to exercise their critical judgement and put your work under the microscope. A good producer, like a good editor, will guide your hand through the finishing editing process and help you produce something better. But they should also trust you to do what it is they’re paying you to do in the first place - write the damned thing! I will start storylining my new book next week. Just me and my keyboard. I can’t wait! As a Mainer, I have the utmost respect for Stephen King and his wife Tabitha for their charitable work to help the less fortunate in my home state. I’m also a fan of the great man’s prose. We’ve had the literary-versus-genre debate before. You know I don’t think there is a difference, but that isn’t what I discussed with my friend. I took umbrage with the question for a different reason. “I don’t believe most writers work that way,” I said. I was dumfounded and asked her how many copies she had to sell to make the NYT list. She explained that the lowest figure she’d sold in any week she’d been on the list was 5,000. But, she went on to explain, 4,000 copies was decent because of the type of fiction I was writing: I had chosen to basically alienate the typical fiction-reading audience, which she said, was female. (Stereotype? I don’t know, but Tess isn’t the only one to tell me women buy more fiction than men.) And, as Tess pointed out, I was writing tough-guy novels—tough-guy novels about golf, no less. Obviously, this market analysis is oversimplified, and there are exceptions (Michael Connelly is the first to come to mind; there are many more). However, none of it matters, because it didn’t bother me then and it doesn’t now. I wrote five Jack Austin novels because I love golf—the integrity of the professional sport, the purity and metaphysical aspects of the game, and I liked the character. I grew up on Raymond Chandler and Robert B. Parker, so the sum total was probably predicable. But it was never conscious. I mentioned this news article, “Prison dads learn meaning of 'father'” (USA Today, 6/19) last week. I’m still working on a short story that that the article triggered. As father to a 12-year-old, a 9-year-old, and a 21-month-old, the story represents my greatest fear: being separated from my family. I only needed to read half the article to realize there was a story in it for me. Yet I don’t feel like I picked the story, it picked me. It’s like answering the phone and accepting a blind date. I won’t know if I’m a boring date until I finish the first draft. Heading to a cabin in northern Maine for a week, so I’ll be “off the grid” next week. I’ll take lots of pictures. Hi folks, Blechta here — and still overwhelmed by work, so I'm still in a thieving mood. This week's theft is from my good friend (and great author) Simon Wood who sent out his newsletter last week. I thought one thing in it was particularly good and would like to share it with you (with his permission, of course). It deals with nightmare reviews and provides blurbs that are quite the opposite of what an author hopes to get when a new book comes out. They're quite witty and I'm sure you'll enjoy them. And by the way, check out his website, www.simonwood.net and sign up for his fantastic newsletter while you're there. NEWS FLASH! NEWS FLASH! NEWS FLASH! NEWS FLASH! NEWS FLASH! Simon will be our guest blogger here at Type M this coming Sunday. Be sure to check in to see what this always-entertaining author has to say! "A great bathroom read—very absorbent." "It's one hell of doorstop." "Out of all the books I've read this year, this was one." "This book made me switch on the TV." "This book is very put-downable—a policy that should be applied to the author." "An author to track down—and do bad things to." "It made me hate my ability to read." "This was a real page burner." Very briefly the plot of Among the Departed is as follows: When Molly Smith was thirteen years old she had a sleep-over at her best friend’s house. She ate breakfast the next morning with the friend’s family and then her mom picked her up. Shortly thereafter her friend’s father went to the convenience store. He was never seen again. No trace of him was ever found, no one reported seeing him after he walked out the door, he did not have a criminal record and no known criminal contacts. Fifteen years later his remains are found in the British Columbia wilderness by Norman the police dog, searching for a lost child. The very day I finished the book, I had company over for dinner. My friend, whom I shall call Jane, started telling us about her father. Who disappeared into the B.C. wilderness and wasn’t found for seventeen years. He was driving from Ontario to Southern B.C., last seen at a gas station in Calgary. His car was found far north of his expected route. Although in this case his car was found, for seventeen years there was no trace of Jane’s father himself. And then the body was found by a hunter. In the B.C. wilderness. Isn’t that just too weird? I think if I hadn’t already written the book, I’d be getting ideas for a good plot. In Among the Departed the focus of the book is, as well as on the reopened police investigation, the fallout of the man’s disappearance and how it pretty much destroyed his wife and two children. My friend Jane was older than the children in the story, being in her mid-twenties at the time, but the disappearance had a devastating impact on her mother. Jane’s mother was suspected for a while of being involved in the disappearance of her husband and thus her bank accounts were all frozen. In Among the Departed the insurance company won’t pay out of course, and the wife has no source of income so is dependent on welfare and what she sees as condescending charity of the women of her church. In the real life case, Jane and her brother are considering approaching the police to get what documentation they can, so they can try and find out the truth about the disappearance and death of their father. In the fictional story... Well, you’ll have to wait until fall 2011 to find out what happens there. Peter May here. 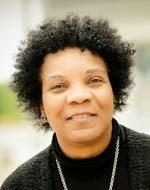 I am proud to present ALANNA KNIGHT as our guest blogger this Sunday. Alanna was declared one of the 100 Masters of Crime by The Times of London, and is among the most popular authors in UK libraries. She is one of Britain’s most prolific and successful crime writers with three historical crime series to her name: the Victorian detective Inspector Jeremy Faro; lady investigator Rose McQuinn; and time-traveller Tam Eildor. 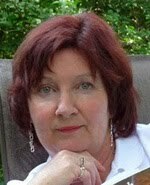 Alanna has published 60 books, including romantic thrillers and historical novels. 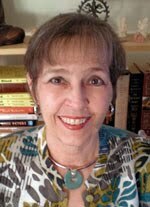 She is an authority on Robert Louis Stevenson, and her non-fiction includes true crime, how to write guides, and biographies. 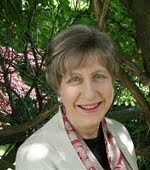 Honorary President of the Edinburgh Writers' Club, and founder member of the Scottish Association of Writers, she is also a veteran of the Society of Authors and the UK Crime Writers' Association. She has two new books due out in the next few months - “Quest for a Killer”, the 6th Rose McQuinn story, and “The Seal King Murders”, the 15th Inspector Faro novel. I always wanted to be a writer. Even as a small girl I was rarely seen without a book in hand (changed occasionally for a paintbrush!). Adulthood and early marriage gave rise to short stories and serials for women's magazines in hours stolen from two young sons and a very understanding husband. In 1968, I received an award for my first unpublished novel, “Legend of the Loch”, set in Scotland where I have lived most of my life. There were, of course, other unpublishable novels from my teen years, which were really my nursery slopes - since writers' aids like groups and courses were rare in those days. The publication of this first romantic suspense - now called “Women-in-jeopardy” - was followed by five more. Then thanks to an English project that one of my sons brought home, Robert Louis Stevenson came into my life. He became my inspiration. After fifteen years of writing about him - biographies, plays, a novel, “The Passionate Kindness” - I was in Edinburgh compiling an RLS Treasury when my career as an historical novelist (with Macmillan and St Martin's Press) changed course. I had always thought that Dr Jekyll & Mr Hyde was one of the greatest crime novels ever written. And by pure chance one day, a strange man - deerstalker hat and Inverness cape - walking past me in the street provided the unexpected inspiration for my Inspector Jeremy Faro, an Edinburgh-based Victorian detective working in the 1870s. The Edinburgh setting was perfect for me, since it was a town I knew intimately, having walked the paths and touched the stones with RLS. Eleven books later I wrote “The Inspector's Daughter”, featuring Faro’s daughter Rose who had already appeared in the Faro series - having married his sergeant and gone to live in Arizona (which I know well). When he disappeared in 1895, Rose returned home to solve a murder involving a former school friend, and went on to become a Lady Investigator. The sixth book in the Rose McQuinn series, “Quest for a Killer” was published this year. Faro also has a new series. Retired in his last 3 books, I decided, thanks to a notorious not-proven poison trial in 1860, to do a prequel, “Constable Faro's first case: Murder in Paradise”. The second in this new series, “The Seal King's Murder” (set in Orkney), is schedule for publication in Jan 2011. My advice for the aspiring crime writer is, wherever possible, to consider writing a series. Series are what publishers look for these days, and so do readers who get hooked on the main protagonist. The writer, too, gets to know intimately - and hopefully to love - that main character. Writing historical crime demands meticulous research. I found that especially so in my third series featuring a time -travelling detective, Tam Eildor, who leaves year 2250 to solve murders from a murky past when police and detectives were still unknown. I find a constant joy in meeting my readers and establishing a rapport with them at talks. Over the years many have become friends, and we talk about Jeremy Faro and Rose McQuinn as if they just live around the corner. My books are mostly set in Scotland, where I live, and those beyond give an excuse for careful research in new areas. An important rule for me has always been, “Write about what you know”. And to that I would add, “Write about where you know”.